Hanoi (VNA) - The 14th National Assembly Standing Committee reviewed personnel work at its 10th session in Hanoi on May 15 afternoon. 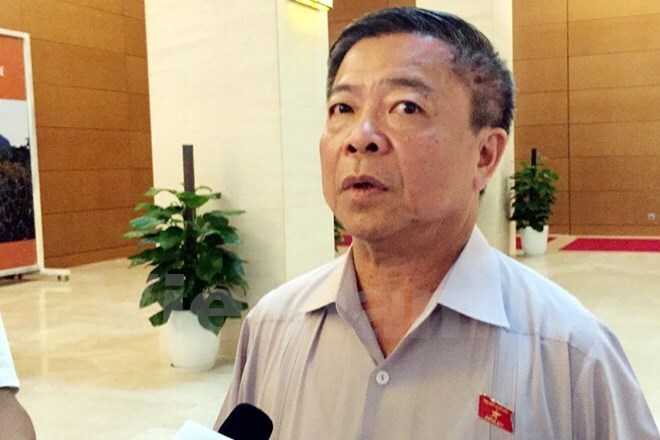 Lawmakers voted to dismiss Vo Kim Cu, a deputy of central Ha Tinh province, as from May 15, 2017, based on Articles 38 and 54 of the Law on the Organisation of the National Assembly, Article 39 of the NA Standing Committee’s statutes, agreement from the Fatherland Front Central Committee, and a resignation letter from Cu. Vo Kim Cu was elected as a deputy of the 14th National Assembly by a majority of 75 percent during the national elections in May 2016. He is the former leader of central Ha Tinh province where the Formosa factory, which caused a serious marine environmental incident last year, is based. Cu was found to have signed many documents against the law to aid Formosa. Also at the session, the deputies voted to transfer Nguyen Thien Nhan, Politburo member and Secretary of the Ho Chi Minh City’s Party Committee, from the Tra Vinh province’s NA deputy delegation to the Ho Chi Minh City’s.